We’re in the second decade of the 3rd millennium and women still don’t drive, and things don’t seem to be looking up. All drivers here think they’re partaking in Formula 1 so getting dizzy when getting from one place to another is a given. Going to the supermarket is considered a family outing. 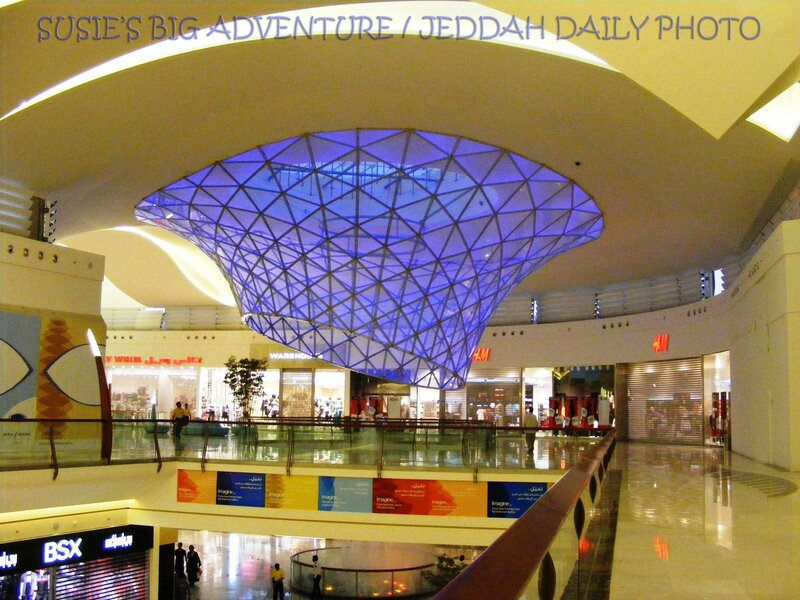 The smallest shopping mall is as large as the biggest one in Lebanon. Every shopping center has a gazillion stores, a food court, a supermarket, and an arcade/ mini-amusement park within its walls. When shopping, you automatically convert all the prices to Lebanese Pound just to point out how you’re being ripped off back home. You can find virtually any cellphone your heart desires. BUT, if you don’t have a Blackberry, you are an idiot. In every mall, there is at least one kiosk dedicated to selling the BB and its wildly distracting covers. Did I mention how everyone has a BB? Because they do. And it *dings* so, so, so MUCH! There’s an IKEA store here, and almost everyone fails to recognize its importance. It’s typical to respond to anything with “Ma Fi Mushkila” (No problem), in fact, it’s the country’s motto. If you want to haggle with a vendor over the price of an item, you must begin by saying “Ish hada?” (What’s this/that?) in an exaggerated angry tone. The water comes out of the faucet hot so there’s no need to even have a heating system in the house. A typical Saudi house will have several partitions and curtains to divide it into rooms for men and rooms for women. Starbucks is a country-wide obsession. Too bad, frappuccino is never pronounced right. 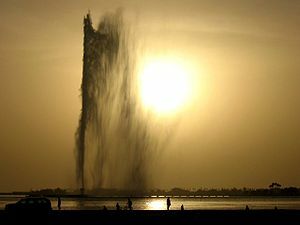 King Fahd’s Fountain is always a marvel, even if you see it everyday. You can hear the Call to Prayer in your own house, because for every block, there’s a mosque. Having your phone ringing in the middle of the night, only to realize that, on the other end, it’s just a desperate guy looking to meet a girl is a perfectly normal thing. This is a great place to grow up in even though you won’t realize this until, much, much later.